A phenomenon begins when 3 days and 3 nights, all kissed with thunder coincide to create an out worldly experience, that’s when the time stops – that’s the world taking a Timeout for 72 hours. 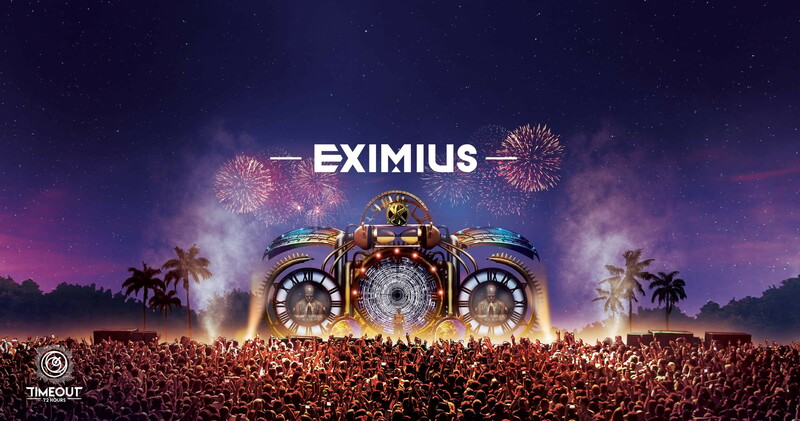 A 3 day long multi-genre music fiesta, supported by the Government of Goa and headlined by the likes of Wiz Khalifa, Martin Garrix & Jason Derulo! If you think NYE bashes are the ultimate party havens towards the end of the year, then you might just be wrong this year! With 3 stages, 15+ well renowned artists and like minded party animals, Vagator Beach will be where you find the craziest and the most extraordinary festival of the year! A chill rapper from Pittsburgh, Wiz, rose to fame with some massively successful mixtapes, including Kush & Orange Juice and three hit albums - Rolling Papers, O.N.I.F.C., and Blacc Hollywood, which debuted at #1 on Billboard’s Top 200 album chart. Wiz Khalifa made his debut with the hit single "Black and Yellow," and since then has stolen a million hearts with unforgettable tracks like "See You Again," which was on the #1 spot for 12 weeks across 95 countries. Wiz Khalifa is finally making his debut visit to India at Timeout 72 and he promises he has a lot of tricks up his sleeve for his fans! Rising to fame with the hit single 'Horny,' No.1 Australian house DJ and instrumentalist, Timmy Trumpet, also known as "the busiest DJ in Australia" with over 200 shows across the continent, finally takes some time out for Timeout 72. This award-winning, multi-platinum selling recording artist has produced two consecutive summer albums for PACHA, one of which includes the bouncy dance single "Tromba Ye Ye Ye." His breakthrough release Freaks reached platinum status five times in Australia and conquered the charts in ten countries. Known for his eclectic music, Don Diablo dropped one hit dance floor bombs after another namely "Starlight – Could You Be Mine," "On My Mind," and ‘Momentum,’ cementing his position as the #1 Selling House and Future House artist of all time on Beatport. His record label, Hexagon, saw instant success and won "Best New Label" on Beatport with the most Top 10 records in its first year. In 2016, Don Diablo claimed the number 15 spot on DJ Mag’s Top 100 DJs list and his latest single "Don’t Let Go" embodies the very essence and spirit of Timeout 72 Music Festival. Yes Don, cannot agree more - everything you can imagine is real. Coming all the way from Down Under to Timeout 72 are Nervo aka Australian sisters Mim and Liv Nermo who have penned smash singles for Ke$ha, Kylie Minogue and David Guetta. The duo was behind Guetta’s Grammy-winning "When Love Takes Over," which topped the charts and was a certified Platinum in nine countries and have been on the circuit for 14 years before beginning their journey as Nervo. Between their dance routines and bangers, they have set the crowd on fire in large music festivals across the world and are excited to be in India in December. Zaeden, also known as the "Justin Bieber of EDM," put himself on the world map with hit remixes of Coldplay’s Magic and Maroon 5’s Animals. The Coldplay remix was a demo of the week on Hardwell on Air #164, played by Dimitri Vegas and Like Mike on Smash The House Radio. His debut track – Land of Lords gave a further boost to his fame as fans devoured his unique style of combining new-age big room sounds. Zaeden also happens to be the first Indian artist to be signed by the world's biggest dance music label - Spinnin’ Records. Get ready to welcome Lost Stories at Timeout 72. The Indian DJ/Producer duo, Prayag Mehta and Rishab Joshi, are known for their official remixes for Alan Walker's 'Faded' and One Republic's "Wherever I Go." Lost Stories and Armaan Malik's cover of Justin Bieber 'Sorry' crossed over a million views on YouTube and their remix of the track Afrojack featuring Spree Wilson’s "The Spark" was featured in the official music video of the single. They ranked #52 on DJ Mag Top 100 polls in 2016. Gold Record and 100% NL Award winner, Steve and Lucas, will be gracing Timeout 72 with their signature House music. Steve and Lucas joined forces after several years of solo run and their remix of Red Carpet’s smasher ‘Alright’ (together with Nothing But Funk), was charted #1 on the Beatport house top 100 for two weeks! The fresh and groovy house and tech-house sounds of Lucas And Steve got airplay by several biggies in the business, Armin van Buuren, Fedde Le Grand, UMEK, My Digital Enemy and Sick Individuals are just to name a few. Sem Vox began his DJ career by organizing events at the age of 17 with his partner and is one of the founders of DLDK. Sem Vox lives and breathes music and can feel the vibe and energy of the crowd, making him the master of turntables. His fast, technical and energetic DJ style featuring an array of musical styles makes him of the most complete DJs of the latest generation. He believes in “bringing music with energy” and it is a sure thing that the crowd at Timeout 72 will welcome this prodigy with much verve and energy. Best known for collaboration "Lions in the Wild" with Martin Garrix, Third Party is a British progressive house DJ duo consisting Jonnie Macaire and Harry Bass. Taking on Electronic luminaries Cicada for ‘Feel’ and Red Hot Chilli Peppers' ‘Otherside’ with their own with a game changing remix, further remix duties for Swedish House Mafia’s "Save The World" as well as Steve Angello and Alex Metric’s "Open Your Eyes" have made them all the rage among European Progressive House fans. It is exciting to have Third Party at Timeout 72 and groove on their double-barrelled British House music and tectonic melodies. 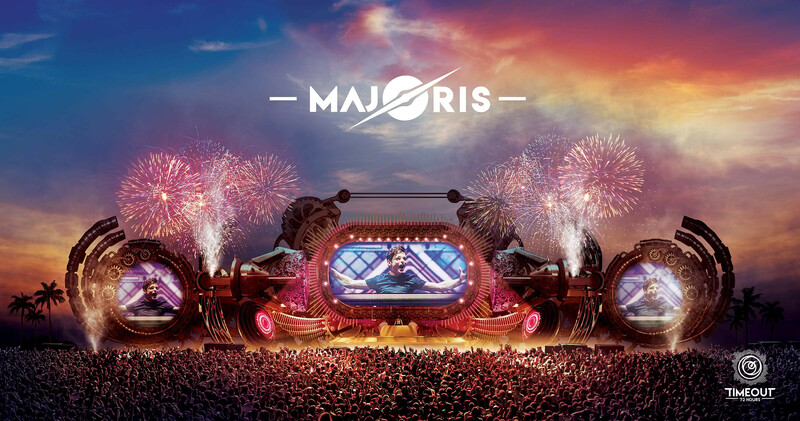 Justin Mylo is an EDM DJ/producer from Amsterdam, Netherlands. He began spinning at local clubs while a teenager, and eventually began producing his own brand of high-octane, festival-ready dance tracks. Justin dropped 3 hits Bouncy Bob, Groovy George and Jumping Jack one after another and Bouncy Bob (in collaboration with Martin Garrix) was loved all over the world for the big dance floor banger that it was. The other track Jumping Jack, released on Spinnin’ Records released in 2016 and has over 1.5 million views on Youtube. Aviram Saharai and Matan Kadosh a.k.a. Vini Vici belong to Israel and have been a popular name in the Psy-Trance music industry since a long time now. They have been there, done that and ruled the music scene all over the globe. They’ve been listed at #3 by Beatport on the top artist list in 2014, further ascending to #2 in the subsequent year. They have also been named as the "Best Upcoming Psytrance Artists." They’ve done more than 200 shows in 2016 itself and have been at #1 spot on Beatport’s Psytrance list. 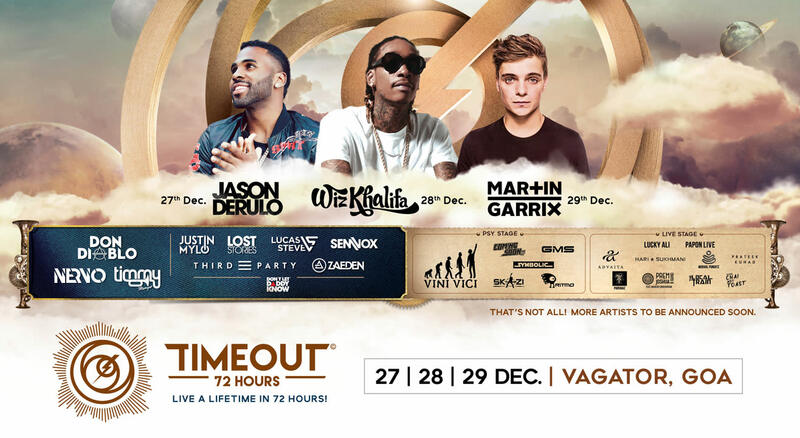 Vini Vici are ready to heat-up and electrify Timeout 72 at Vagator, Goa this December. Dubi Dagan or Ritmo has been influential in developing a unique technique to capture moments of people's lives and translate them into an addictive rhythmic progressive trance track. Ritmo has been performing in major music events ever since his debut album "Disharmonic Silence" gained global popularity. His style of music is Progressive Trance but with a mystical or magical touch to it. You need to listen to his creations to believe in them. Listen to him here in Goa at Timeout 72! The Growling Mad Scientists is a Dutch Psychedelic Trance duo featuring Shajahan Matkin (aka Riktam) and Joseph Quinteros (aka Bansi). The duo have a large international fanbase and regularly tour the world. Hard-core fans often boast about the fact that the duo fell in love with Trance in Goa, had a spiritual awakening and that’s when their real musical journey started. To have GMS at Timeout 72, Goa is a real goosebumps moment as old fans won’t be able to shake off their reverie. Symbolic is Ilan Shemi, which was established by Ilan and DJ Osho. 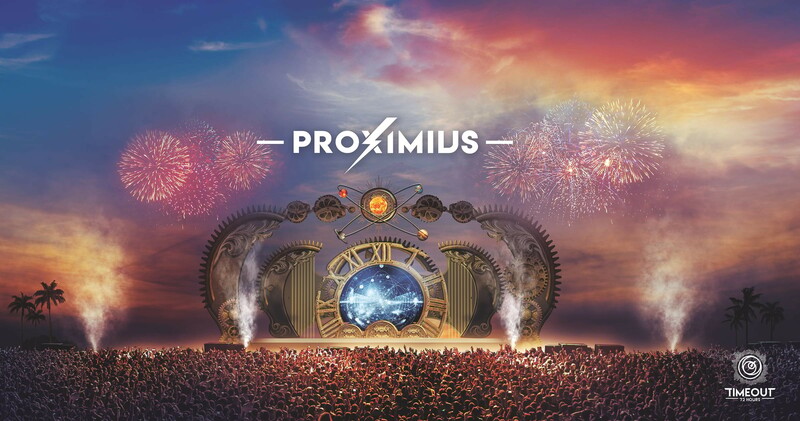 Their pure Psychedelic Progressive Trance style has taken the world by surprise. Symbolic has gained great popularity because of their music and style in a very short span of time. Heavy basslines, crunchy grooves and enticing melodies make Symbolic a DJ that Psy lovers really look forward to hearing. Symbolic will be present at Timeout 72, this December to give fans a taste of what he’s best known for. Hailing from Israel, Skazi is a name which is amongst the most renowned DJs in the Psychedelic Trance scene of music, producing a combination of hard Rock, live instrumental, Psytrance and Electro Trance music. Skazi is known to have created his unique sounds and has received a Gold for his album ‘Spin’ which released in 2016. He’s graced a number of international music events and festivals as a main headliner and is all geared up to perform at Goa this December, at Timeout 72. Q. What are Early Bird Tickets? A. Early bird tickets are 3-day General Admission / VIP tickets which will be available at a special price for a limited period. You save money if you buy through Early Bird. Q. What is the difference between GA and VIP tickets? A. General Admission (GA) tickets offer general access to the 3 days of the festival. 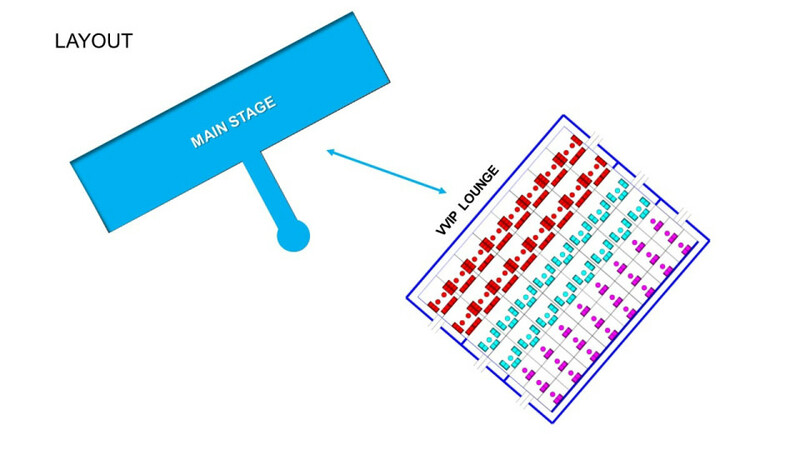 VIP tickets allow a fast track entry to the festival and an elevated viewing area of the stage. A. Printout of the confirmation email from Insider/PAYTM + Photo copy of Debit/Credit card used. Photocopy of Valid Photo ID of the debit/credit card holder Valid Photo ID of the person using the ticket. Q. Is there any other verification that I can provide instead of a copy of my debit/credit card? A. No, only these documents mentioned above will be used for verification purposes. A. Once bought, tickets cannot be swapped or upgraded. Q. Will I have to be present at the venue when the tickets are being collected? A. Yes, you can buy your tickets in cash from our authorized ticketing partners. List of `Authorised Ticketing Partners` coming soon. Stay tuned! A. You must be 16 years and above. Q. Will I be able to get a refund for the tickets if I do not attend the festival? A. Yes. A valid Photo ID i.e. PAN Card, Passport, Driver`s License etc. Q. 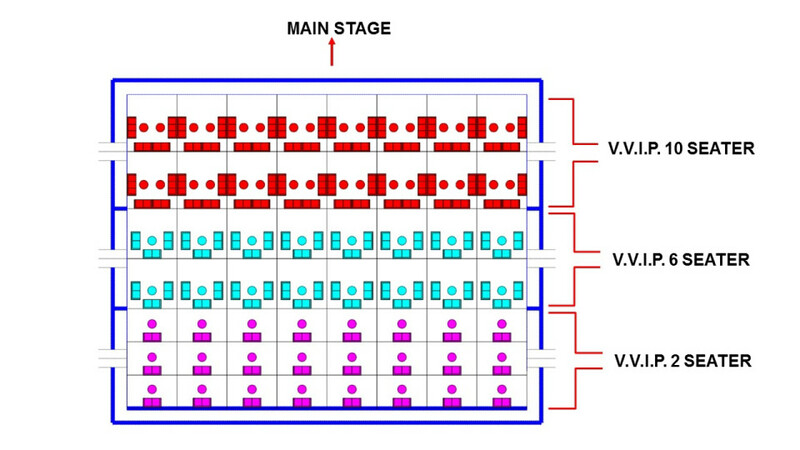 Will my VIP Ticket allow me backstage? A. No, there is no backstage access with any ticket. Q. Do the tickets give access to free food and beverages? A. Early bird Tickets are for entry purposes only. No free alcohol or food would be provided the tickets. Q. What if I am reaching the venue later, can I use separate copies of the same ticket for the non-cardholders to enter separately? A. No, unfortunately, it is not possible. Q. Where can I read ticketing `Terms and Conditions? A. No, due the safety and security concerns of our patron's/ audience no re-entry is allowed for the event. Q. Are there any travel packages available? A. Yes, we will have travel packages for TIMEOUT72 which will be released soon. Stay tuned for more details. Q What is the authorization letter format? I, (Your name) ______________ authorize _____________ (Friends name)to use my ticket bearing Booking ID No. ________ on my behalf for `TimeOut72`.Please find encl. the photocopy of my debit/credit card, print out the Booking confirmation and a valid Photo ID. (Your name) (Signature). You've heard this before and it needs no introduction. A bass drop that is etched in everyone's head!